Longhouse is een uniek huisje in het hart van Staithes, onlangs gerenoveerd tot een hoge standaard met hoogwaardige meubels, moderne keuken, balkenplafond, lambrisering en een houtkachel. Met 2 ensuite slaapkamers is het ideaal voor 2 of 4 personen. Het huisje heeft, ongebruikelijk voor Staithes, een eigen tuin met een tafel en stoelen en een bbq, relatief privé en op het zuiden gericht, ideaal om buiten te dineren. Als u op zoek bent om jonge kinderen mee te nemen voor uw verblijf, stuur ons dan een aanvraag voor het boeken. Lovely cottage with everything you need, Staithes is a very nice place for a break, nice pubs with good food and atmosphere. Thanks Jane for an excellent stay and very easy informative transaction. I'm sure we'll be back. We do our best to make sure the cottage is somewhere you can stay in comfort especially if it's raining cats and dogs! Staithes is always good come rain or shine (but better shine). Clean, modern interior, excellent facilities - the owners have thought of everything, supplying towels and toiletries and the kitchen is well equipped with tea, coffee etc. Loved it and will definitely re book. Thank you for the welcome bottle of wine too! Many thanks for your kind review, much appreciated,and pleased you enjoyed your weekend. The cottage is wonderfully maintained, clean and welcoming. 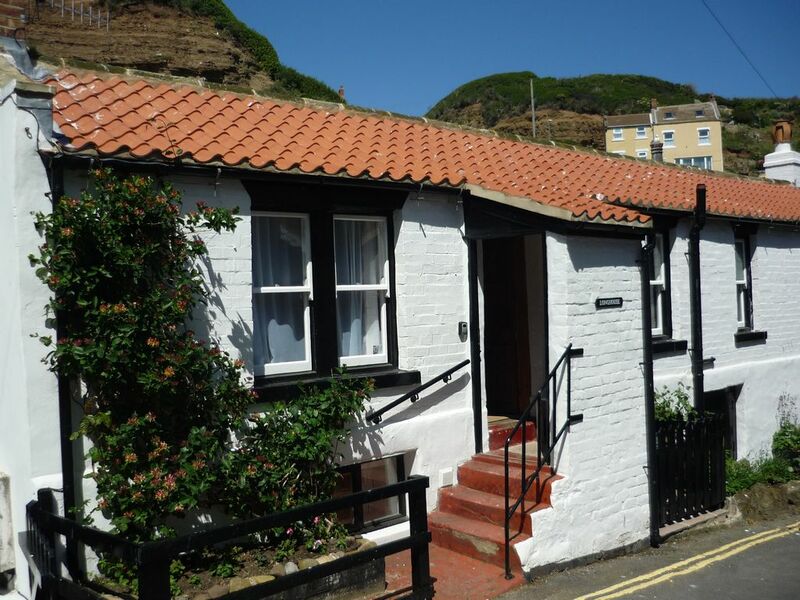 My partner and I booked it for a little weekend visit to Staithes. It was well stocked for everything that you could need and the perfect place for a weekend away. It was a little tricky to find at first but super helpful people pointed us in the right direction. One thing I would remind people of is make sure you have written down the code to get in... although prewarned by Jane about phones not working... I didn't think about not having access to my emails and therefore the information required. Staithes itself is very picturesque with a couple of lovely pubs, we would certainly recommend the quiz at the Royal George on the Friday and the food at both the Cod and Lobster and the Royal George. So yes, make a note of the code and directions! A great little cottage in a lovely spot. Pleased you enjoyed both Longhouse and Staithes.